Why Isn't Virtual Reality Mainstream Already? No, it’s not only about the price and the killer apps. The more I see, the more I found one thing that could be the reason why virtual reality hasn’t got mainstream recognition: The relevance to this generation. Take a look at Android devices and iPhone. People are using smartphones because it’s relevant to their needs. Before smartphones were here, people used PC to finish their works, to send email, to find information on the internet; and they use a telephone to call someone. But smartphones gather all these necessities at the tip of our fingertips. However, the road wasn’t that smooth for smartphones. If the internet isn’t as powerful as it is today, if the programs and applications aren’t as sophisticated as today, people would still think twice to have a smartphone. But now? They’ve got no choice but to own a smartphone. And now virtual reality is reborn. We’ve heard a lot of good news and optimism in the first year of the reborn of virtual reality. But it’s 2017, why isn’t virtual reality going mainstream already? First thing first, we can’t make equate virtual reality and smartphones because these technologies have its own path and its own use. But virtual reality could take some notes from the successfulness of smartphones. Smartphones are all about making everything relevant to people’s needs. So, is virtual reality relevant already? Let’s list things up. Phenomena #1: Most people don’t own a high-end PC, but the focus seems to be on high-end VR headsets. If you want to have that sophisticated VR headsets, you need a powerful PC. By saying a powerful PC, I mean a Windows PC with an Intel Core i5–4590, AMD Radeon RX 480 as the GPU, 8GB RAM DDR3, and all other powerful components. The total estimated price for this PC itself is $2,480. And, we don’t need any data to clarify that most people don’t own powerful PC. So, there goes a question: Will majority people buy a powerful PC just to own VR headsets, meanwhile (1) They already have a smartphone which already substitutes a PC; (2) Doesn’t the cost take a little bit too much? We live in an era that everything is simple, easy, and affordable. You don’t need to go to the library anymore to find an information, a smartphone at the tip of your fingertips will do. Say goodbye to the traffic, you’re able to buy things from your smartphone. You don’t need to stand up and go to the TV room because your smartphone can give you unlimited movies to watch anywhere and anytime. This “laziness” leads to the habit of our generation. So, I’m trying to imagine our generation purchase a high-end VR headset with its expensive price and handle the installation. And, it contradicts with our current “mainstream” habit. People want something simple, easy, and affordable. A high-end VR headset hasn’t reached that standard yet. There goes a question: Is this approach wrong? No. Not at all. We need this approach. 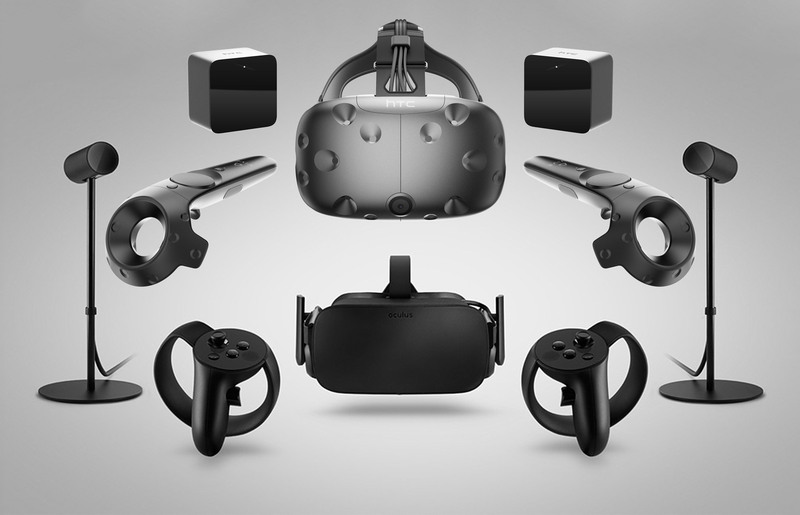 Let’s imagine if Oculus and HTC Vive never launch the high-end VR headsets. This industry wouldn’t heat up. Big giant techs would still close their eyes over this technology. Businesses would never consider the power of virtual reality to level up their business. Developers would never grow in a way they didn’t expect. No more new possibilities to ease our lives. So, if I could meet anyone from Oculus or HTC Vive and the developers who never gave up on these platforms, I’d like to say “thank you” from the deepest of my heart for opening up new possibilities in this world. If it’s not Oculus and HTC Vive, the story of virtual reality would’ve been so different. And, it won’t be as good as it is today. So, yeah, thank you for taking this approach. Still, is this relevant to our generation? Good news! Google and HTC are teaming up on WorldSense, the first standalone virtual reality headset. Phenomena #2: High-end VR headsets are now available on mobile, but it only works with few limited phones. I’m talking about Samsung Gear VR and Google Daydream. It’s as simple as taking your smartphone and slip it into Gear VR or Daydream; and, ta-da, you’re now in a virtual world. First off, these VR headsets are totally different with the high-end VR headsets on PC — because, technically, these VR headsets are specifically made for smartphones; so, it’s not as powerful as PC-based VR. But it’s there. And, it’s trying to be relevant with this generation by making it compatible with smartphones. However, is this approach relevant? Almost. So close. It has everything that people need: The easiness of the accessibility. However, for now, it only works with few limited smartphones. For example, Samsung Gear VR is only compatible with Galaxy devices (Galaxy S6, Galaxy S6 Edge, Galaxy S6 Edge+, Samsung Galaxy Note 5, Galaxy S7, Galaxy S7 Edge, Galaxy S8, Galaxy S8+). Meanwhile, devices that support Daydream are Pixel smartphones by Google, ZenFone AR, Moto Z, Axon 7. The truth is people use a different kind of smartphones. If a certain VR headset only works with a certain type of smartphone, then it’s just a burden for users in the future. But why is it a burden? Because VR headsets aren’t like an earbud, which you can get for free every time you buy a new phone. You need to buy a VR headset alone. And, that’s not efficient nor wise to change a VR headset every time we change a new smartphone. We need something that unites it all. Maybe we need something like Android and iOS, the operating systems that make it all efficient and easy every time we change a new smartphone with the same operating system. Maybe mobile-based VR headsets need this: The same operating system, the ability to work with major platforms. So, is this approach wrong? No. Not at all. We need this approach as well. The release of Samsung Gear VR and Google Daydream will definitely evolve the technology of smartphones since the innovation has been slowed lately. In addition, Samsung and Google show that even mobile can get a powerful, high-end VR headsets. It may take some time as we need to wait for more powerful smartphones to be released, but we are on our way. Phenomena #3: Some developers underestimate Cardboard platform. Cardboard platform might not be the most powerful virtual reality headset — duh, it’s just a cut-out cardboard and lenses, but it still gives you the sense of virtual reality. It is also relevant to this generation because: (1) It is the most affordable, like people probably won’t mind spending $15 — instead of $699 — just to try a new technology; (2) It works with any kind of Android phones and iPhone series, so, yeah, it is as simple as that. (3) There are more than two billion people using smartphones, why don’t we put a little more focus on them to figure out what people actually like? We truly love the idea of Cardboard, as we believe this is how we can fill the gap between mainstream audience and virtual reality, so we took our part in this platform. So, we did some brainstorming with our team at Visual Experience, thinking how we could explain virtual reality in the easiest form. And, that’s how we found BeThere Book. Since BeThere Book is more like a book with virtual reality glasses attached, BeThere Book works best for educational tools and marketing tools. For example, to help students learn about renewable energy, we made BeThere: Renewable Energy Edition, which is a book with some short explanation about renewable energy, with virtual reality glasses that will bring them to a virtual renewable energy park and learn to work on it, and with a free application whose link is printed as a QR code inside BeThere. As it’s work best for educational use, we have created a list of ideas of BeThere (such as BeThere: What’s Inside Human Body, BeThere: Climbing a Volcano; BeThere: Visiting Antartica, et cetera) and open the opportunity for teachers and educational organizations to make it happen together. So, is this approach right? For now, yes, it is because the accessibility is easy and it already has a relevant and specific target audience: teachers and students (for educational use) and marketers and entrepreneurs (for marketing use). Imagine going to school and you’ve got a book that will give you the experience of the lesson you’ve learned. Isn’t it fun? That’s our fundamental idea of BeThere for educational use. This, of course, will be much, much better if smartphones are getting more powerful (thanks to Samsung Gear VR and Google Daydream for making smartphones evolving again). But it already works good enough with smartphones that are available today. Thanks to Oculus, HTC Vive, and all the developers that are working their best to make this experience better. Phenomena #4: Can we count on PSVR? Sony is on the right track in VR industry, no matter what people say. Because PSVR has a relevant and specific target audience: Gamers. It is as simple as, “Do you want to play a game inside the game? 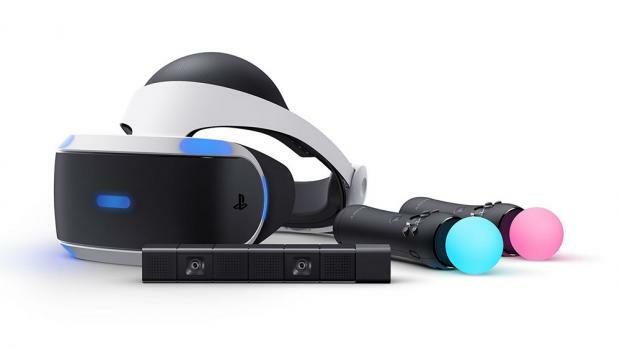 If so, go with PSVR.” When a new customer who never heard of virtual reality before see somebody plays PlayStation 4 with PSVR, they could exactly know what it is without asking twice. Because since the beginning everybody knows that PlayStation is made for games, so is that head-mounted headset. Yes, some said that PSVR isn’t expected as they want; some said the graphics are too PS2-ish/PS3-ish. But it’s technical issue, and it will be solved in time. But, at least, they know how to target people and introduce virtual reality in the easiest form. The results? Almost one million people owned PSVR four months after its release. Phenomenon #5: Apple is going to change everything with its Augmented Reality platform, really? We go back to this VR vs AR thing. So, Apple is introducing ARKit, a new framework that allows you to easily create unparalleled augmented reality experiences for iPhone and iPad. But is it true? Is it actually the approach people actually need instead of VR? But one thing I’ve learned: Don’t come to a place just because you’re simply excited for it. Like, if you are truly excited about Apple and its AR platform, then come with a new solution that has never been found before. And, it’s never been about VR vs AR. We need both to get the right Mixed Reality in the future. Today is all about social media. Instagram, Snapchat, Facebook — everybody seems addicted to it. So, how can virtual reality change or improve this habit? And, it shouldn’t be as simple as, “Oh, let’s make a virtual room and gather people there.” Never ever believe the first idea that comes to your mind; it’s just a first draft, and every first draft is a junk. Revise your idea, study it again, then find it. At the end of the day, it’s the homework of all. We are doing our homework with BeThere, what about you? Say hi to us! Follow our social media pages on Facebook, Twitter, and Instagram. ← Are These Going to Be VR Killer Apps?